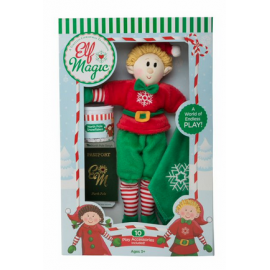 Our adorable 10-inch Elf Magic Elves come with everything they need to create a Christmas home-away-from-home! 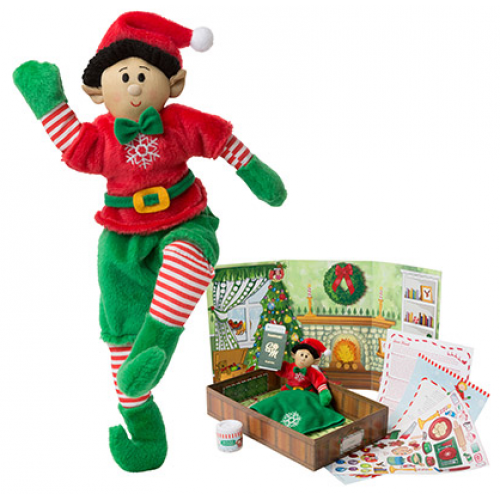 Each Christmas Elf includes a removable Elfit. 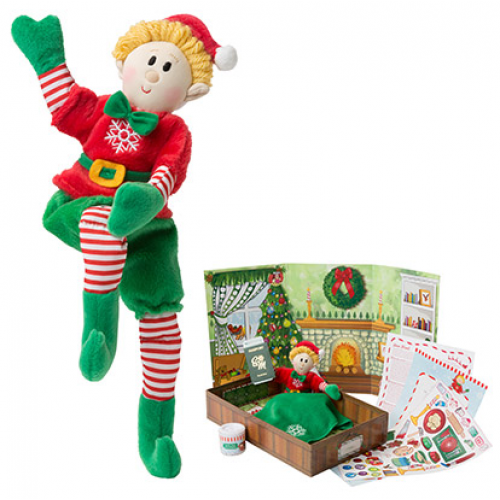 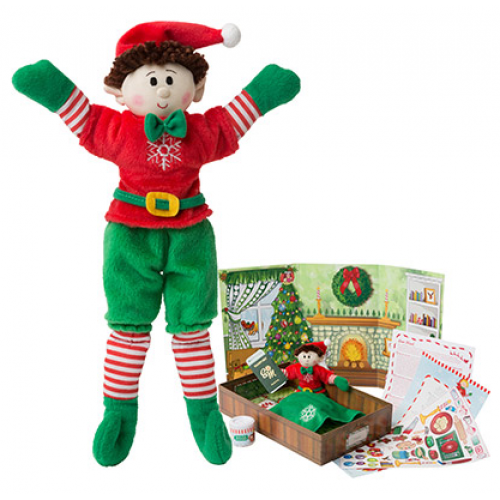 Set the scene for festive holiday fun with this adorable Elf Magic Elf! 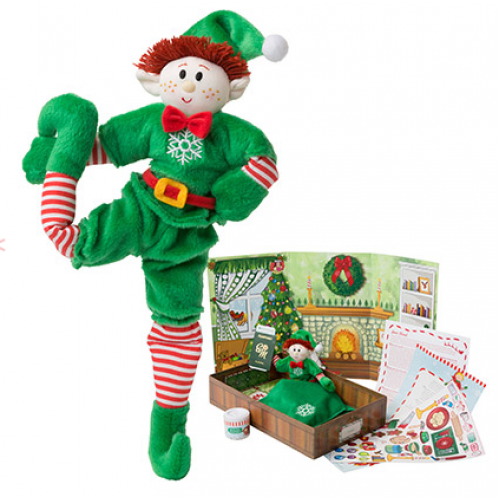 Dress him, build tiny toys together at his workbench, decorate his Christmas tree and playroom with the included stickers, and tuck him into bed - then delight in discovering his magical nighttime adventures each morning! 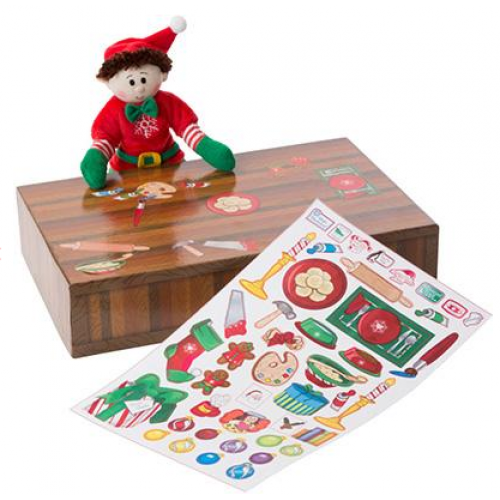 Reversible bed/table - use it as a workshop, craft table, and more!